If you’ve ever been pregnant – or even if you haven’t – you probably already know that this time comes with quite a few cravings. Some of them are sudden, some are pretty specific, and others are just downright bizarre! While indulging is fine in small doses, it’s important to maintain a healthy and well-balanced diet throughout pregnancy. This also means being aware of what you can’t eat while carrying that precious bundle in you. 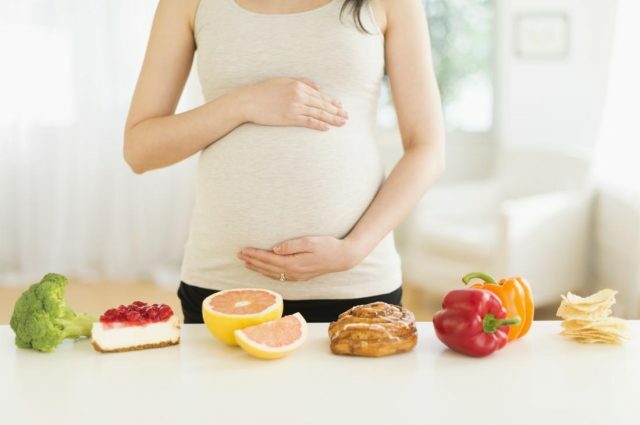 Most foods are completely safe during pregnancy, but there are some you should not eat. Here are 10 such foods to avoid during pregnancy. 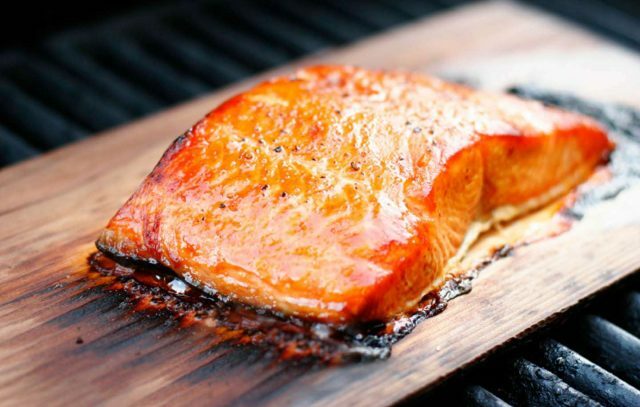 Smoked and refrigerated seafood labeled lox, jerky, nova style, and kippered are best avoided during pregnancy. They contain a bacteria called Listeria monocytogenes that causes listeriosis, a condition responsible for symptoms such as vomiting and diarrhea. It could cause illnesses in newborns, or even induce a miscarriage or stillbirth. What’s more is that processed seafood contains large amounts of salt, which might lead to an increase in blood pressure or swelling of the body parts in pregnant women. 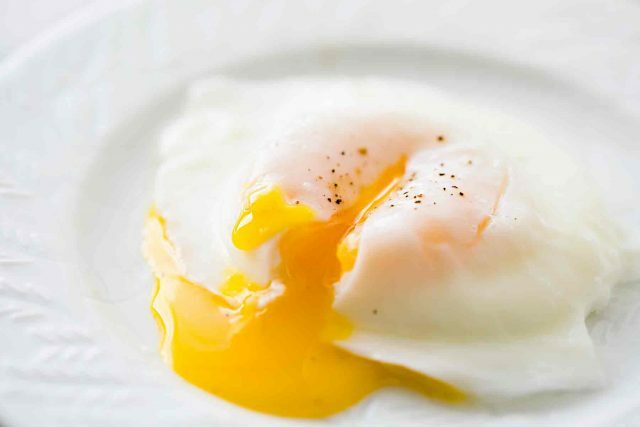 You might love a good runny egg, but anything that contains raw, undercooked, or even soft boiled eggs is best avoided during those precious 9 months. This includes foods that we all know and love, like homemade mayonnaise, Caesar dressings, mousse, aioli, tiramisu, etc. This is because raw eggs could carry a harmful bacteria called salmonella that could cause diarrhea, headache, abdominal pain, severe vomiting, and high fevers. While salmonella won’t directly impact your baby, your body’s immune system is weakened and could, therefore, hinder baby’s development. 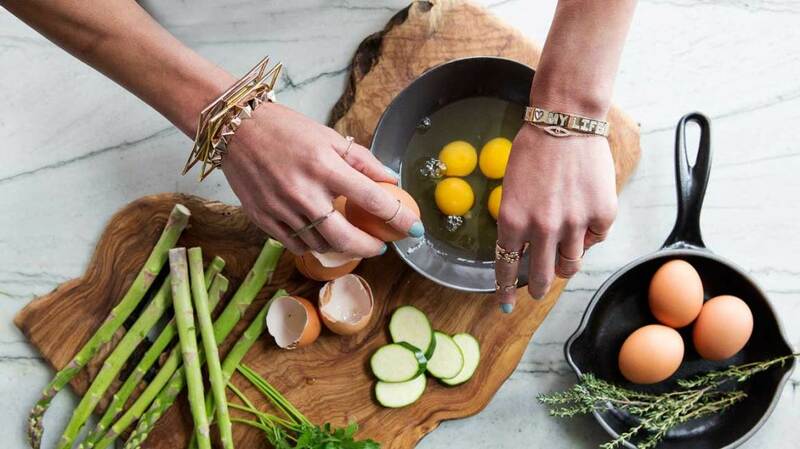 The best way around this problem is to buy pasteurized eggs, and cook your eggs until the yolk is firmly set. And if you are craving any of the above-mentioned foods, a commercially produced variety is unlikely to contain uncooked eggs (but always check to make sure). Deli meats, a.k.a. 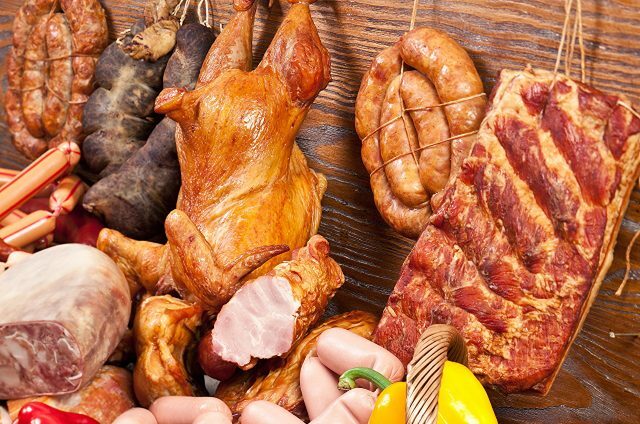 ready-to-eat meats, such as cold cuts, hotdogs, lunch meat, etc. are best avoided for the same reason you should not eat smoked seafood – listeria. The bacteria could travel from the mother to the placenta, causing severe complications and even fetal death. 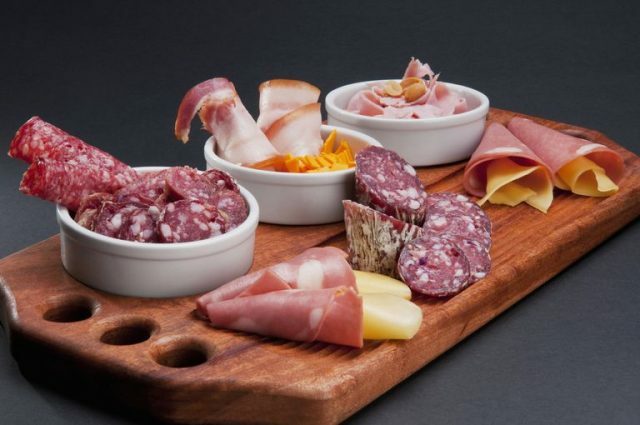 If you are going to eat any deli meats, the best solution is to heat them up until they are smoking hot since high temperatures kill listeria. 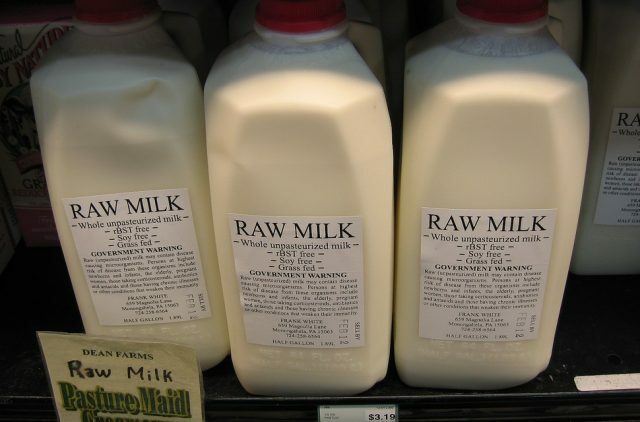 Drinking raw or unpasteurized milk during pregnancy not only provides you with zero benefits, it can also put you at risk for a number of foodborne diseases. Such milk products are carriers of bacteria and infections that are harmful to you and the developing fetus, including salmonella, listeria, E. coli, and cryptosporidium. That’s why it’s best to always by pasteurized milk products, as they are put through high temperatures intended specifically to kill any disease-causing microbes. You could also opt for non-dairy alternatives like soy, rice, almond, or oat milk as they are nutritious and safe. Herbs used in the production of seasonings, tea, and supplements could cause harm to mother and child. Herbs like ephedra, angelica, kava kava, Yohimbe, black and blue cohosh, dong quai, borage oil, pennyroyal, and mugwort are known uterine stimulants and are therefore best avoided completely during pregnancy. Other herbs that have been linked to a risk of miscarriage include comfrey, black walnut, cascara sagrada, fenugreek, echinacea, goldenseal, horsetail, licorice root, saw palmetto, senna, motherwort, St.john, wort, shepherd, purse, wormwood, tansy, and uva ursi. Aloe, ginseng, and evening primrose are also generally considered unsafe to ingest while pregnant. The effects and safety of drinking of green tea and wheatgrass juice have not been confirmed yet, so you should avoid them as well to be on the safer side. And if you consumer nettles, dandelion, or chamomile tea, limit their usage and make sure to consult your gynecologist about them as well. But, all in all, it’s better to stick to a hot cup of chai or even some coffee (in limited quantities) as they have been deemed safe for pregnant women. 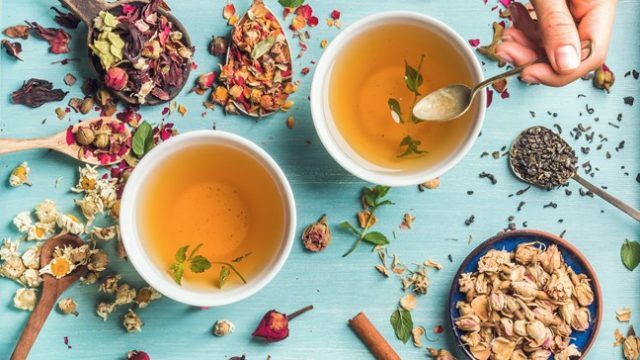 If you are worried about losing out on any benefits present in herbal tea, simply ask your doctor for a health tonic or multivitamin prescription. It’s better to skip the canned food aisle when you’re pregnant, and we’re not just talking about sugary sodas. Even fruits and vegetables that are tinned come in cans that are lined with Bisphenol A (BPA), a toxic substance linked to several fertility issues, cancer, liver disease, and heart disease in pregnant women. It could also affect the fetal endocrine activity, hindering baby’s development. Even canned baby food might contain BPA from the lining of its tins! 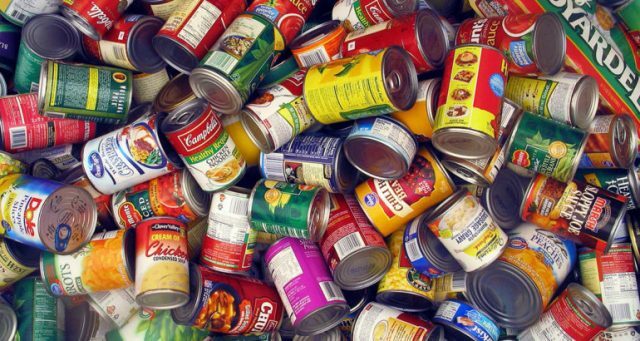 Canned foods also have long shelf lives, which gives them ample time to harbor harmful bacteria. Furthermore, canned foods containing tuna are high in mercury, which is best avoided during pregnancy as it could harm the fetus. The best solution would be to always pick fresh fruits, vegetables, seafood, and meat as seasonal produce is the freshest and contains the highest nutrition. In case you have to use canned foods, make sure the tins are BPA-free and make sure to wash the fruits and vegetables thoroughly before consumption. Foods that have been left sitting at room temperature for more than two hours, whether served hot or cold originally, are more likely to harbor bacteria. 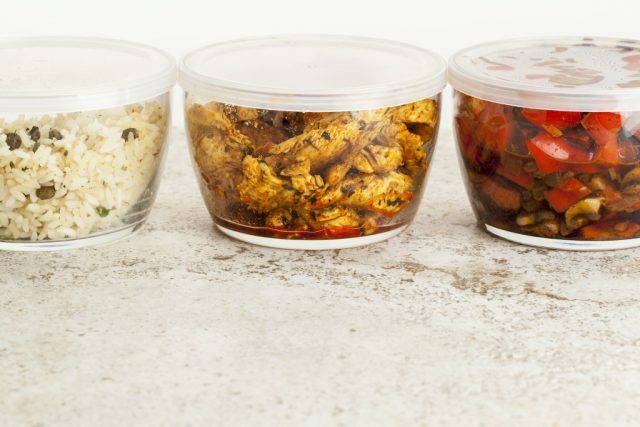 Therefore, it’s best to store leftovers in the refrigerator immediately after eating and heat them up in clean utensils until they reach at least 165 degrees Fahrenheit, or throw them out completely. But, of course, food that is freshly cooked is always the best possible option. It’s key to follow safe cooking and eating procedures during pregnancy and to consult your doctor before you include or exclude anything from your regular diet. Fast foods and processed foods like crackers, cookies, frozen pizza, margarine, etc. are high in trans and hydrogenated fats. These are best avoided during all times, but especially during pregnancy. 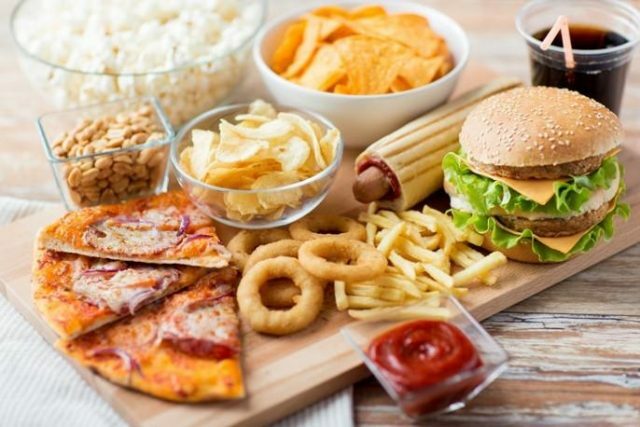 According to the American Heart Association, trans fats should be limited to less than 1% of your daily total calorie intake in order to minimize your risk of heart disease, obesity, excessive fetal growth, and preterm labor. Stick to fat-free alternative whenever possible. But, it’s also important to note that natural, healthy fats like Omega 3, 6, 9 fatty acids are essential for you and your developing baby in limited quantities. You can get a healthy dose of natural fats from foods like olives, nuts, avocados, flax seeds, and fish. As we mentioned earlier, a cup of coffee per day is completely safe, but it needs to be limited to 200mg per day (the amount of caffeine in a standard cup of Starbucks coffee). 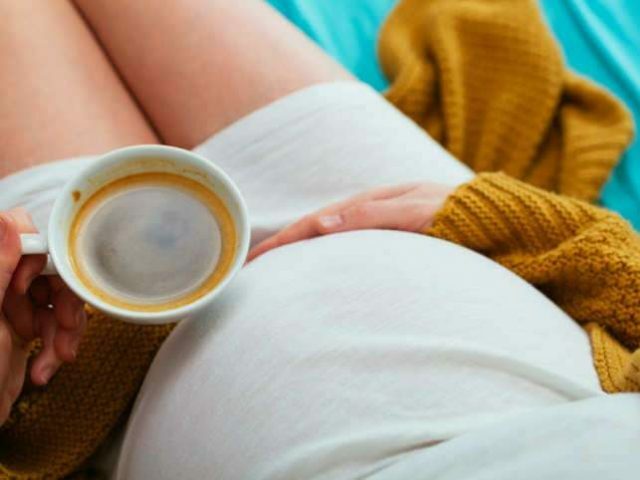 But, excessive caffeine intake can be harmful during pregnancy, as it could lead to premature birth and withdrawal symptoms in newborns. A cup of coffee here and there shouldn’t be a problem, but considering caffeine is also present in tea, chocolate, and energy drinks, you’re going to want to be extra cautious. You should also avoid drinking alcohol, soft drinks, diet soda, and iced tea during pregnancy. Instead, stick to decaffeinated beverages, especially during the first trimester when your risk of miscarriage is higher.